So why choose FGS? 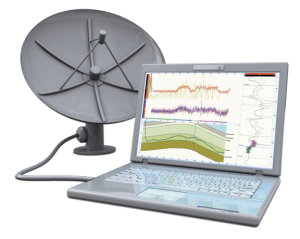 What really makes FGS an innovator in geosteering? We are the only organization in the world with the ability and track record to steer using geochemical data in addition to LWD. Why is this important? 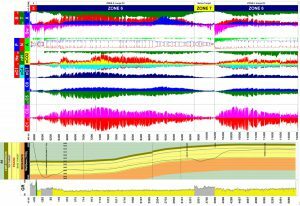 Using geochemistry, our geologists immediatelyidentify if your hydrocarbon zone(s) have migrated relative to a drilling target based purely off geophysical data. This is particularly salient within laterally discontinuous geologic targets such as the Bone Spring Wolfcamp trend within the Delaware. Steering using purely LWD is insufficient within laterally homogeneous geophysical signatures. Geochemical data, and our significant understanding of it (which is crucial), give us the capabilty to identify discreet rock units within your geologic target to help define your drilling target with greater confidence. By understanding geochemical structure in its relation to stratigraphy, we can reduce sliding time and “porpoising” from chasing gamma signatures that may or may not be there. No other company can match this expertise FGS can bring to your production or exploration horizontal project. FGS is highly expericened in facilitating accurate landing points, knows the difference of true target constraints as they relate to both geologic and drilling targets, and has experience in making drilling target adjustments. Our primary objective at all times, whether using geochemistry techniques or not, is to minimize dog legs and reduce sliding times by maintaining a higher percentage within the drilling target, enabling you to drill faster straighter well bores. Our extensive knowledge and experience with horizontal well drilling along with a portfolio of hundreds of wells in multiple basins throughout North America allow FGS to tailor your remote geosteering program to exactly your specifications. Our geosteering office staff work 24 hours a day to keep you in constant communication with your wellsight directional and company ​representatives, keeping wellbores drilling straight and fast. ​​FGS remote steering geologists work closely with operational geologists on any remote steering scenerio and have the capacity to communicate several times a day with field personnel and office operations.​​ ​FGS employes high-level consultants with former operational experience and maintains a track record of high level success.